As much as we can make fun of Kanye for the things he does at music awards, the things he write on his twitter or simple the women he chooses to fall in love with, there is one thing you can not take away from him: He is good, he is ahead and he is creating something personal. And that is a whole lot more that I can say about a whole lot of people. 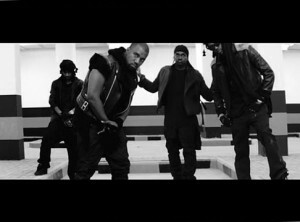 With the official visualization for “Mercy a track taken from G.O.O.D. Music’s upcoming Cruel Summer compilation. And yes it is KiD CuDi dancing. Press play !